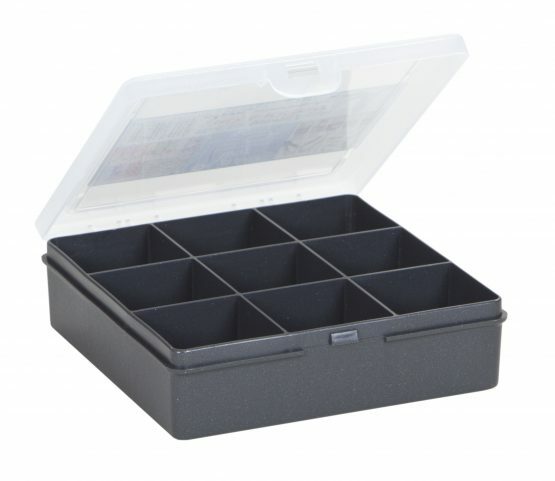 Handy organiser box with 9 equal compartments (measuring approx. 4.8×4.8x4cm). Secure hinged lid and integral dividers ensure contents stay where they should. Clear lid to easily view inside. Hardwearing and durable. Ideal for crafts, diy and hobbies.